We are well into our second trimester and our little baby boy is growing nicely! I had the privilege of receiving my first Mother's Day presents from Blake… a beautiful Mother's necklace created by Eclectic Wendy Designs on Etsy. I knew I wanted something with Blake and I at the base and that I could add to as our family continued to grow. Wendy did a fabulous job deciphering my vague descriptions into a beautiful necklace. Wendy so talented, isn't she? 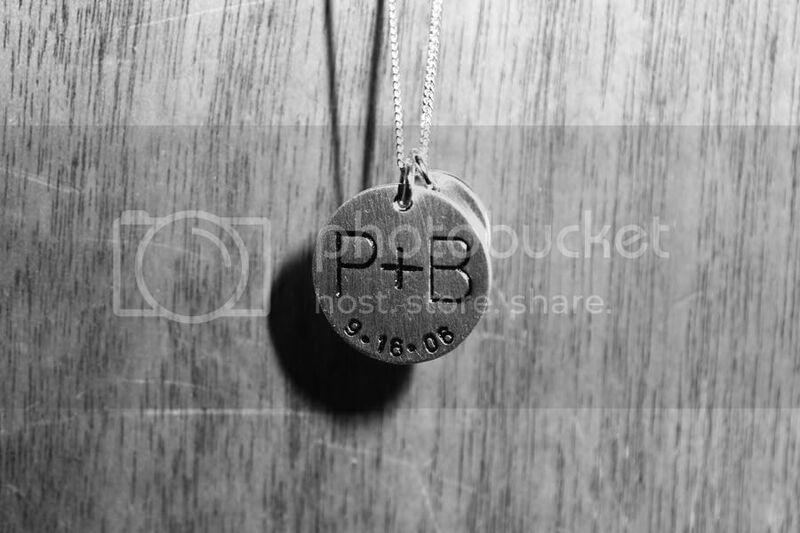 The Main disk says "P+B" with our wedding date around the bottom. There is a smaller disk with our baby's name engraved on it. When we have more children, we can simply add more small disks. I love it! So, what is our little one's name? Ready for it? Here it is! 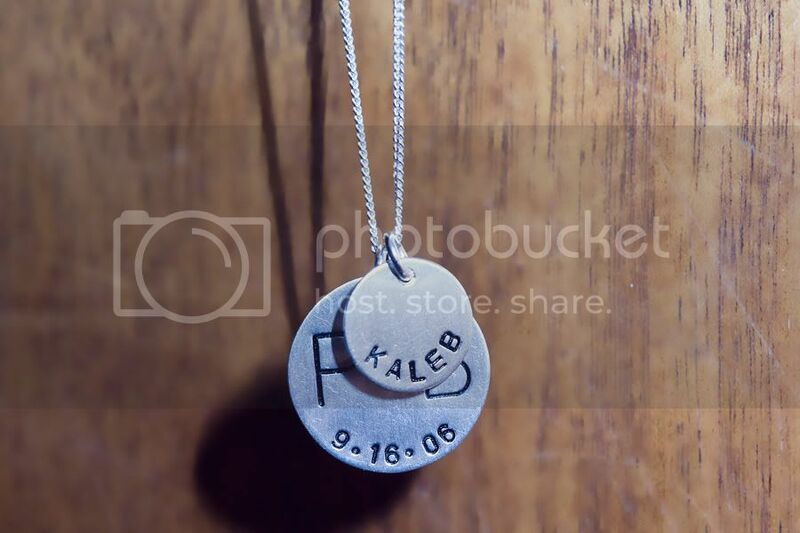 Yup, our little boy will be named Kaleb. Notice we're spelling Kaleb with a "K"… Blake thought of that, now it contains the same letters as Blake! Go ahead, check… see! I love it and Blake's giddy about it, so its set in stone… or set in metal. supa cute! And so glad you committed to Kaleb because I really liked that name!